The California Department of Insurance has accused Allstate, Sterling Casualty Insurance and Alliance United Insurance of refusing collision repairers’ labor rates without the survey evidence to back it up. The agency, which requires insurers which conduct labor rate surveys to make them public, wrote in Sept. 23 filings that the insurers were also light on other documentation for their rejections. 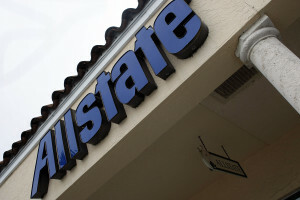 It accused Allstate of violating the California Insurance Code in five incidents drawing complaints to the DOI. The agency flagged Alliance for two collision repair interactions and Sterling for a single 2014 incident reported to the state. Those wanting to keep abreast of California and national regulations should check out “Protect Your Business From Fines and Disciplinary Actions by the CA Bureau of Automotive Repair” with attorney Jack Molodanof of Molodanof Government Relations and “U.S Wage/Hour Compliance Under the FLSA – Are Your Pay Systems Legal?” and “California Wage/Hour Compliance – The Wolf is At The Door, Are You Ready?” with attorney Cory King of Fine, Boggs & Perkins. The presentations will be at this year’s SEMA Show as part of the Society of Collision Repair Specialists’ Repairer Driven Education series. Register here; series passes are available. If they lose administrative hearings, all three companies could be suspended from doing business in California for up to a year or face an up to $55,000 fine depending on Democratic Commissioner Dave Jones’ decision. The state has ordered all three insurers to cease and desist such alleged practices and pay $5,000-$10,000 for each alleged incident (depending on if any of the actions are determined “willful). “We’re aware of the department’s inquiry and remain diligent to abide by state regulations and requests,” Allstate said in a statement. Sterling and Alliance have not yet responded to requests for comment. The allegations against Allstate date back to October 2013, when Oakland-based Autotrends told the DOI that Allstate would only pay $78 of its $90 labor rate. It also failed to pay the difference between the estimate and Allstate’s rate or adjust it based on a survey or other evidence, the DOI wrote. Collision Concierge alleged in December 2013 that Allstate would only pay $43 of his $72 labor rate, calling it “the prevailing labor rate for the market area,” according to the DOI. The shop is located in Upland, Calif., near Ontario and Rancho Cucamonga. “(Allstate) characterized complainant’s repair estimated as ‘over inflated,'” the DOI wrote, but the insurer hadn’t done a survey to demonstrate this. The claimant also never received a written denial from Allstate, according to the DOI. That also would violate the California Insurance Code. A February 2014 complaint came from a customer, not a body shop, after Allstate allegedly refused to pay more than $78 of a Santa Clara., Calif., shop’s $88 rate. Again, Allstate said its $78 met the prevailing labor rate, but had no evidence to prove this, according to the DOI. That statement to a customer was “untrue, deceptive, and misleading,” the DOI wrote. In January, A-B Collision told the DOI Allstate refused to pay more than $78 of its $95 labor rate. The shop is located in Clearlake, Calif., south of the Mendocino National Forest. Since Allstate had refused the earlier rate without a survey, the insurer still violated the insurance code, the DOI wrote. It also allegedly didn’t send the claimant a denial in writing. A-B complained about Allstate again on Feb. 3, after Allstate — already being examined by the state — inexplicably refused to pay only $75, the state wrote. The state became involved again, and Allstate agreed to use the $82 it had determined following the Feb. 2 rate survey, according to the DOI. As before, it allegedly didn’t put the denial in writing. A driver with a third-party claim against Alliance found the company unwilling to pay more than $55 of his Oxnard, Calif., collision repairer’s $65 rate, according to the DOI’s accusations against the insurer. “(Alliance) stated that it declined to pay the body shop’s labor rate because the rate exceeded the usual and customary rate for the area,” the DOI wrote. As in the other examples, no survey or other evidence was provided to back this September 2014 rate decision, the DOI alleged. Another third-party claimant told the DOI in October that he had to pay the difference between an Oxnard shop’s $65 labor rate and the $58/hour offered by Alliance, according to the agency. The insurer allegedly said the prevailing rate was between $52-$58, an “arbitrary and not reasonable” decision unsupported by evidence and not put in writing to the claimant, according to the DOI. Sterling was also accused in 2014 of only paying $52 of an Oxnard shop’s $65 labor rate — after originally writing an estimate using a $48 hourly rate. The Sterling policyholder went out-of-pocket for the difference. And even though Sterling conducted a labor rate survey, it failed to provide the data as required to the DOI, the agency alleged. Sterling also allegedly failed to document its denial to the policyholder.